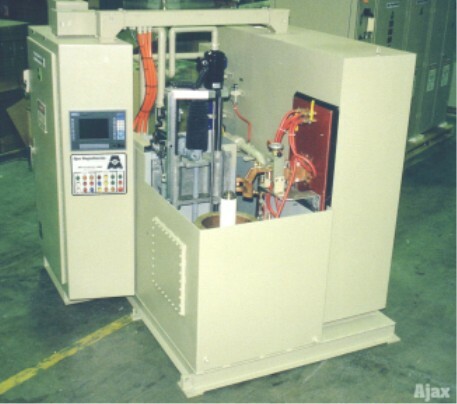 Factory cell and pick and place systems such as this Ajax Tocco designed hub hardening unit are completely self-contained and shipped ready for utility hook up. They are ideal for achieving consistent high quality and reducing labor costs. 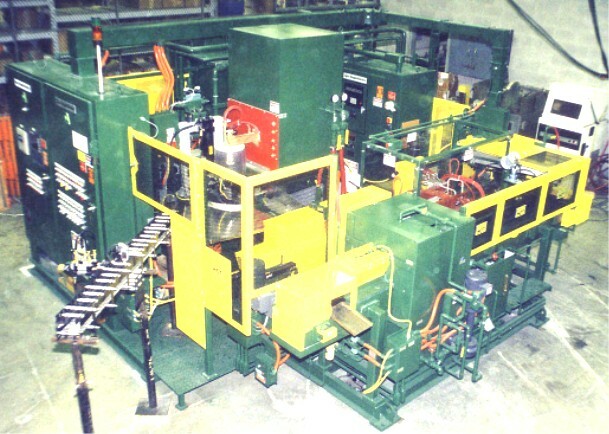 This lift/rotate lowers the part into the quench position after heating. 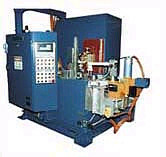 The above machine is an automated lift/rotate machine with pick and place load/unload and an induction conveyor temper. 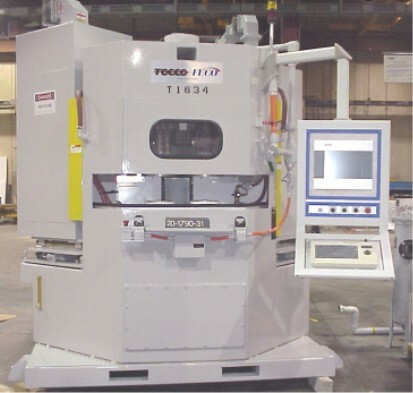 This is a dual station Lift Rotate machine with the operator controls mounted on a pendant on the right side of the unit.